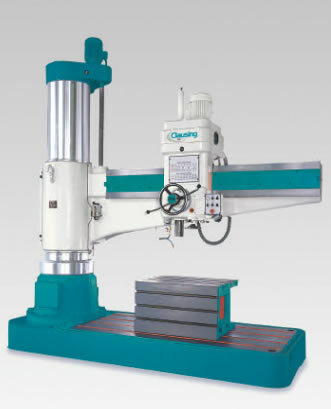 This is one big radial arm drilll. Great reach with an 8 foot arm and power to spare. Vertical movement of arm is coordinated by an IC timer. With a single touch on push button switch, you can have the arm unclamped then move vertically, or stop then clamp automatically. Automatic tool eject device is supplied to allow you to change tools quickly.